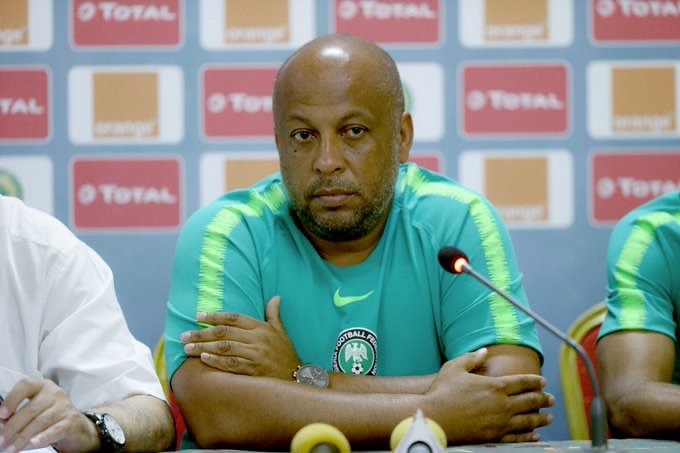 Nigeria’s U20 national team coach Paul Aigbogun says his team are now in a relaxed mood ahead of their U20 Africa Cup of Nations semi-final tie against West African rivals Mali in Niamey on Wednesday. Aigbogun’s Flying Eagles finished top of Group A of the tournament with seven points after two victories and a draw which qualified them for the FIFA Under-20 Championship to be staged in Poland later in the year, the team’s first target in Niger. With the WYC ticket in the bag already, former Enyimba coach; Aigbogun has set his sight on the team’s secondary target in Niger which is landing a record 8th African title when the final is decided on Sunday. “We set the World Cup ticket as our first target for the championship. We have that now, so we are relaxed to go in there and give our best for the second target of winning the trophy, while playing without tension or stiffness,” Aigbogun told www.thenff.com on Tuesday from Niamey. The Flying Eagles won Group A that had host nation Niger Republic, South Africa and Burundi, finishing with seven points, defeating Burundi and Niger Republic while drawing with South Africa, while Mali finished second in Group B with six points after victories over Burkina Faso and Ghana, and defeat by Senegal. The Flying Eagles and Baby Eagles will contest the first semi-final game at the General Seyni Kountché Stadium in Niamey at 4:30pm Nigerian time on Wednesday before a red-hot Senegalese side face South Africa’s Amajitas at 7:30pm in the same stadium. All four semi-finalists will represent Africa at the 2019 FIFA Under-20 Championship in Poland starting from May.